"A Little One Shall Become a Thousand:" A Sermon preached at the Opening of the Cuddesdon Theological Institution, on Thursday, June 15, 1854. The Path of the Youthful Minister in Days of Controversy. A Sermon preached at Cuddesdon, on Trinity Sunday, 1856, at the Ordination of the Lord Bishop of Oxford, and published at His Request. Oxford and London: John Henry and James Parker, 1856. The Teacher Sent from God: A Sermon Preached after the Ordination held by the Bishop of Oxford at Cuddesdon, on Trinity Sunday, 1856. Further Thoughts upon the Diocese of Oxford, with Especial Reference to Cuddesdon College, in Reply to Mr. Twopeny. London: Bell and Daldy, 1858. Address to the Students in the Theological College at Cuddesdon, May 8, 1859. Rest before Labour: The Advantages and Dangers of Theological Colleges. A Sermon preached on June 21, 1859, the Anniversary of the Cuddesdon Theological College. By John Jackson, Bishop of Lincoln. Some Remarks upon the Visitation of Cuddesdon College, and the State of the Church in the Diocese of Oxford. London: Wertheim, Macintosh, & Hunt, 1859. Ordination Lectures: 1. Personal Influence. 2. Strength of Will. 3. The Parish Priest A Ruler. Delivered in the Chapel of Cuddesdon College, on May 20, 21, 22, 1861, Being the First Three Days of Ember Week. Oxford and London: J.H. and Jas. Parker, 1861. Pentecostal Fear. A Sermon preached in the Parish Church, Cuddesdon, May 24, 1864, on the Anniversary of the Theological College. Oxford and London: John Henry and James Parker, 1864. The Difficulties and the Organization of A Poor Metropolitan Parish: Two Lectures, Delivered on the 16th and 17th November 1865, to the Students at the Theological College, Cuddesdon. The Work and Prospects of Theological Colleges. A Sermon Preached at the Anniversary Festival of Cuddesdon College, June 10, 1868. Christ's Presence amid Theological Studies: A Sermon Preached in the Parish Church of Cuddesdon on the Anniversary Festival of Cuddesdon College, June 14, 1870. The Moral Groundwork of Clerical Training: A Sermon Preached at the Anniversary Festival of Cuddesdon College on Tuesday, June 10, 1873. Cuddesdon College: A Report for the Five Years Ending Trinity Term, 1878, Addressed to the Right Reverend the Lord Bishop of Oxford, Visitor, and Published by His Authority. 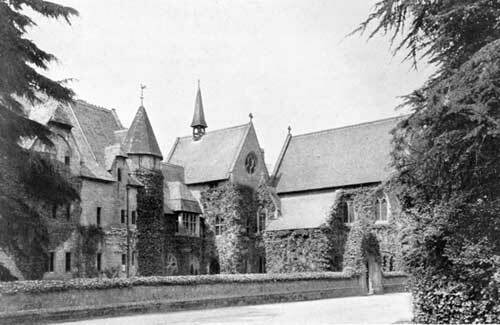 Cuddesdon College, 1878: Address of Old Students to the Right Rev. the Lord Bishop of Oxford, Visitor, on the Subject of Recent Charges Brought against the College together with his Lordship's Reply. Oxford and London: J. Parker, 1878. An Address Respecting Cuddesdon College, Intended to Have Been Delivered at the Oxford Diocesan Conference, Oct. 10, 1878. By Edmund Arbuthnott Knox, Bishop of Manchester. 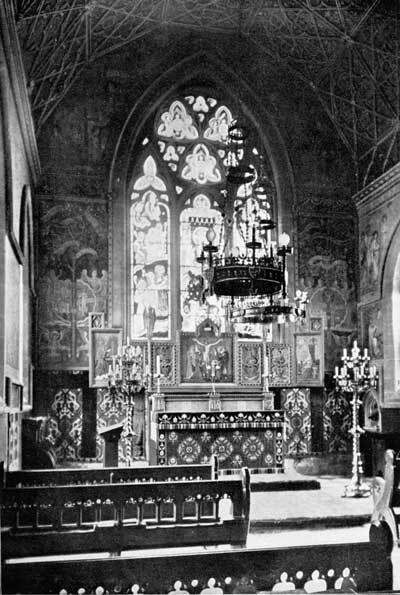 The Victory That Overcometh the World: A Sermon Preached in the Parish Church of Cuddesdon at the Annual Festival of the College on the 2nd of June 1885. Fidelity and Sympathy United in True Teachers: A Sermon Preached at Cuddesdon College Festival. Oxford and London: Parker, 1891. The Beauty of Holiness: Meditations and Addresses Delivered Chiefly at Cuddesdon. New York : E.P. Dutton, 1903. London: Longmans, Green, and Co., 1904. The Revelation of the Lamb: A Course of Addresses Given to Clergy in Retreat: Cuddesdon, October 1-5, 1912. By J O F Murray. London and Oxford: A.R. Mowbray, 1913. The Cuddesdon Manual of War Intercessions. Men of God: Addresses Given at Cuddesdon College to Men Preparing for Ordination. London and New York: Longmans, Green, 1917. Cuddesdon College, 1854-1929: A Record and A Memorial. Oxford: Printed by C. Batey at the University Press, 1954.